Polycystic Ovary Syndrome occurs in one to five percent of women and is a leading cause of infertility. It is caused by a hormonal problem, and has a wide variety of possible symptoms. 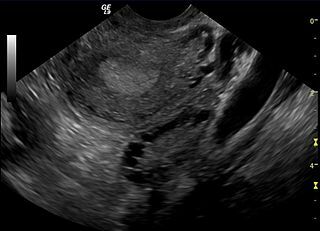 PCOS patients tend to have a collection of cysts in their ovaries, which is why the condition got its name. But it is possible to have polycystic ovaries without PCOS as well. What are the major symptoms of PCOS, and when should you see a doctor? One of the most obvious PCOS symptoms is abnormal menstruation. That can, of course, mean a wide variety of different things including no menstruation at all, cycles that last very long, and menstrual cycles without ovulating. Heavy bleeding during periods can also be one of the symptoms of Polycystic Ovary Syndrome. Obviously, multiple small cysts in the ovaries are one of the symptoms that comes high on the PCOS checklist. Androgens, male hormones, are prominent in PCOS patients. This causes symptoms like acne, excessive hair growth, and even male patter boldness. Weight gain and obesity are among the most common Polycystic Ovary Syndrome symptoms as well. This weight gain can be difficult to prevent, and PCOS patients find it really hard to lose weight. Insulin resistance and higher insulin levels are possible PCOS symptoms. Lack of ovulation, and thus infertility are associated with PCOS. Dandruff and oily skin are PCOS symptoms. If you are experiencing any combination of these symptoms, it is always a good idea to check in with your healthcare provider to see what is going on. There are other conditions that include symptoms like these, so whether or not you have Polycystic Ovary Syndrome, you will certainly benefit from a full medical check up. increasingly irregular period/chololate spotting. Advice?